Quick post today! I found a few random swatches I meant to post a while back and they were really pretty so I decided to share them today. First is China Glaze Lubu Heels, which is an older color, but still gorgeous! 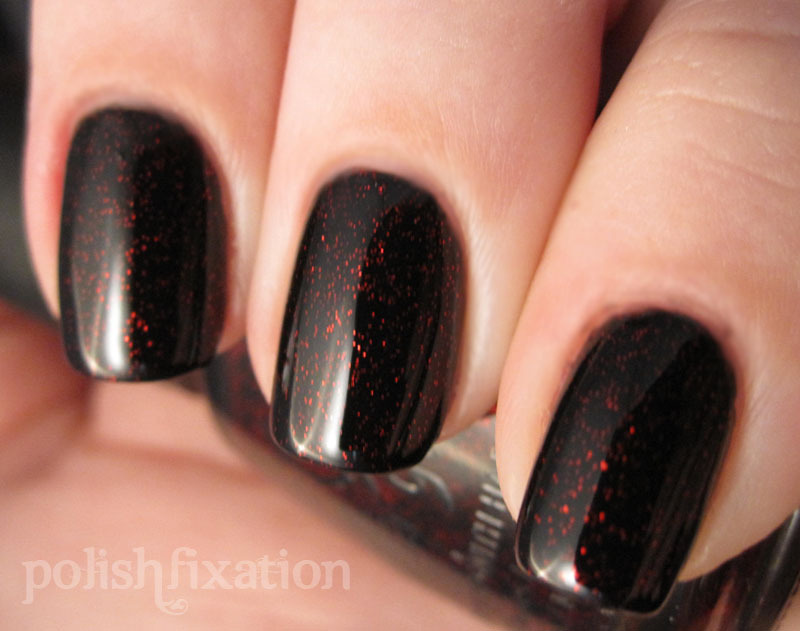 It's a dark black jelly base with red glitter. Definitely applies better layered over a dark base because it can be kinda thick if you try to build it up by itself. I love the look of this though, I am a sucker for dark shimmery/glittery polishes! Simple yet stunning. Next up is China Glaze Awaken, which is a frosty metallic silver-grey! This is easily a 1-coater and would probably work nicely for stamping too! I don't usually many polishes with a finish that has noticeable brush strokes but this one is really pretty and I like it. I love both of this.. great swatches!! I have both of these and really love them. Wow I love them them! But the black red is awesome!